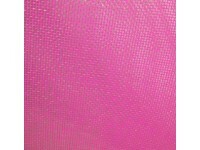 One roll of Fuscia Pink pet - bag mesh. 4.6 metres x 92cm. This is plastic, vinyl very small mesh used for making the mesh bags that are taking the country by storm. All other colours available by the roll.